We Love BIG Families! Pizza Parties are the Best! Invite KT’s Pizza to your next business meeting, birthday or dinner party. We can make your order for pick up or delivery. Contact us to plan your next special event. Call our location: 904-696-1113 for more information. Lettuce, Tomato, Onion, Green Pepper, Feta Cheese, Greek Olives and Pepperonchini. 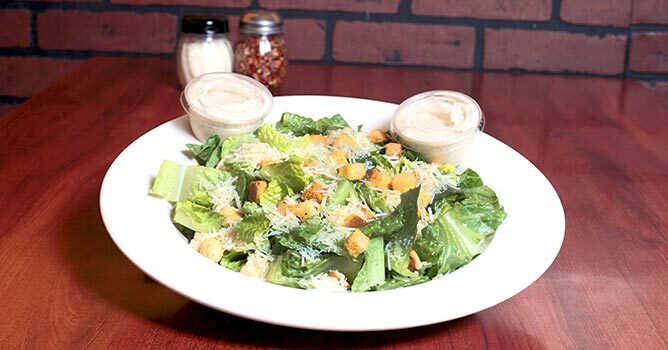 All salads will be served with a choice of two salad dressings: Ranch, Blue Cheese, Thousand Island, Creamy Italian, Creamy Caesar, Creamy French, French, Honey Mustard, Oil & Vinegar, Balsamic Vinegar, Non-Fat Italian and Non-Fat Ranch.All trays serve eight to ten people. Made with tomato sauce or garlic butter and Parmesan. Made with meat sauce, meatballs, or sausage. All trays serve eight to ten people.